Several popular sections of famous Great Wall are within city limits and can be visited on a day tour. 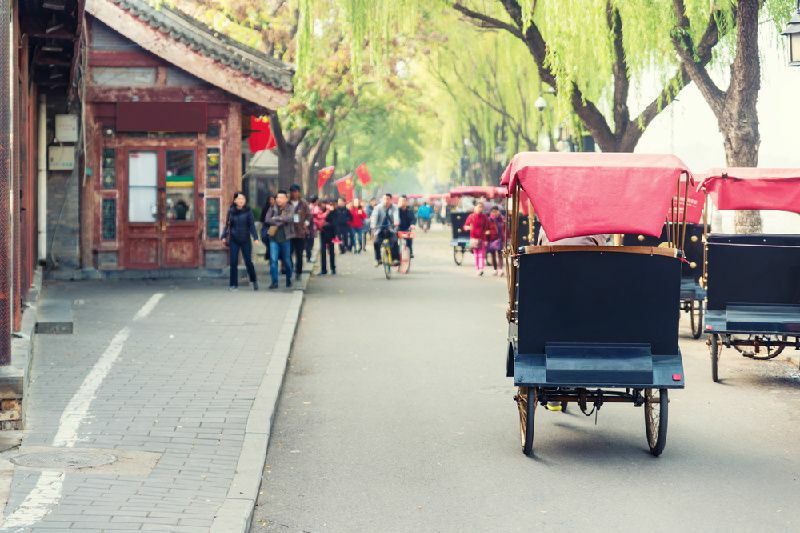 Walking around or taking a rickshaw tour around narrow streets, or Hutong, in old town, visiting Beijing Zoo or going for some regular and high-end shopping in popular Wangfujing Street are all on the list of many visitors. Great Wall of China. Ancient fortification structure stretching over more than 5,500 miles across China. Featuring with towers, walkways and guided tours. Forbidden City. Now a Palace Museum, this massive palace in Beijing served as a seat of Ming Dynasty from early 15th century. Summer Palace. Lakefront palace complex with palaces, temples, lakes and gardens, used by Qing Dynasty in 19th century, located in Beijing. Badaling. A section of Great Wall very popular with tourists due to iconic views. It is located 80km northwest from Beijing and climbs to a mountain up to 3,282 feet. Temple of Heaven. Famous temple complex from 15th century featuring unique circular buildings. It was regularly visited by Emperors of Ming and Qing dynasties for religious ceremonies. Located in Beijing. Tiananmen Square. Historic, massive, one of the world’s largest city square in Beijing. Tiananmen means ‘Gate of Heavenly Peace’. Mutianyu. A section of the Great Wall of China located in Huairou District, at the border of the city limits of Beijing. 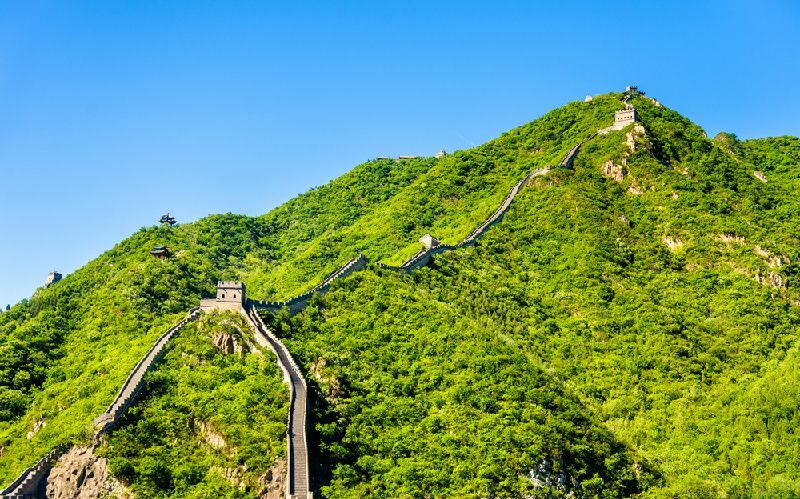 It’s one of the best preserved section of the great wall and very popular with tourists. Tiananmen. 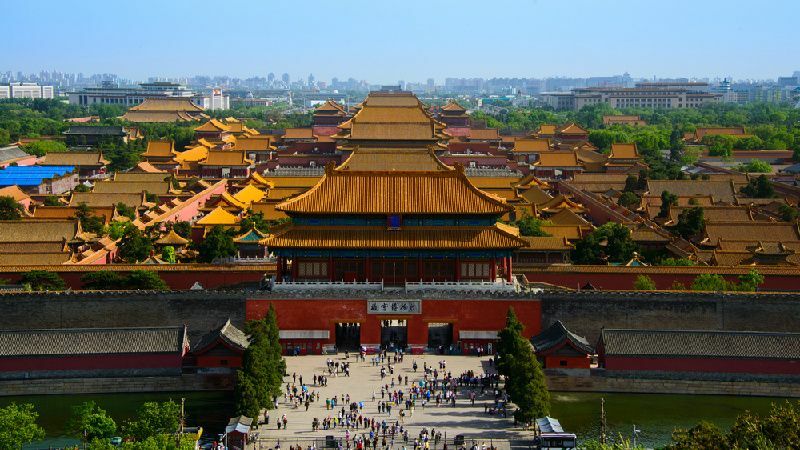 Also knows as ‘Gate of Heavenly Peace’, this monumental entrance to Forbidden City is dating from the 15th century and it was rebuilt many times. Ming tombs. Ancient system of emperor’s tombs, comprising of thirteen tombs, dating back from period between 15th and 17th century. Wangfujing. Primarily designed for pedestrians, this central Beijing street is popular for shopping, snacks and night market. Old Summer Palace. Known in Chinese as Yuanming Yuan, located in Beijing, these are remains of palace located in a scenic park. Beihai Park. 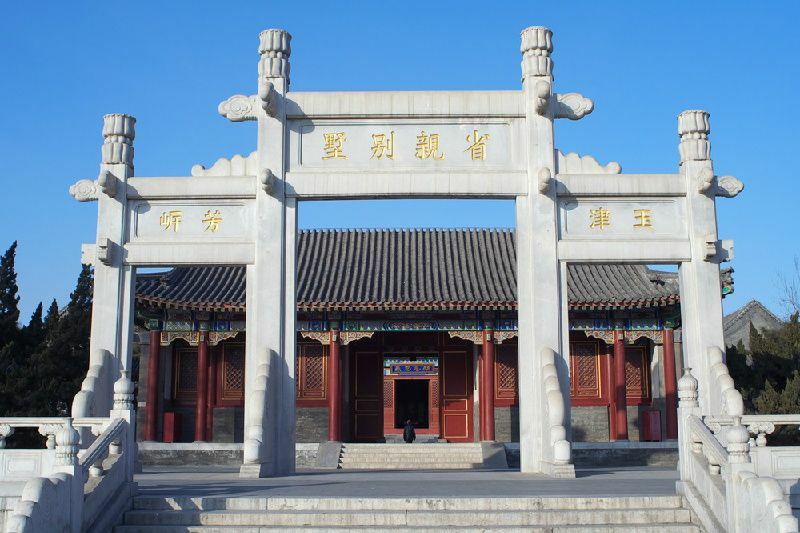 Also known as Northern Sea Park, this, 1,000 year old imperial park is one of the largest and oldest in China. Located next to Forbidden City in Beijing. Jingshan Park. 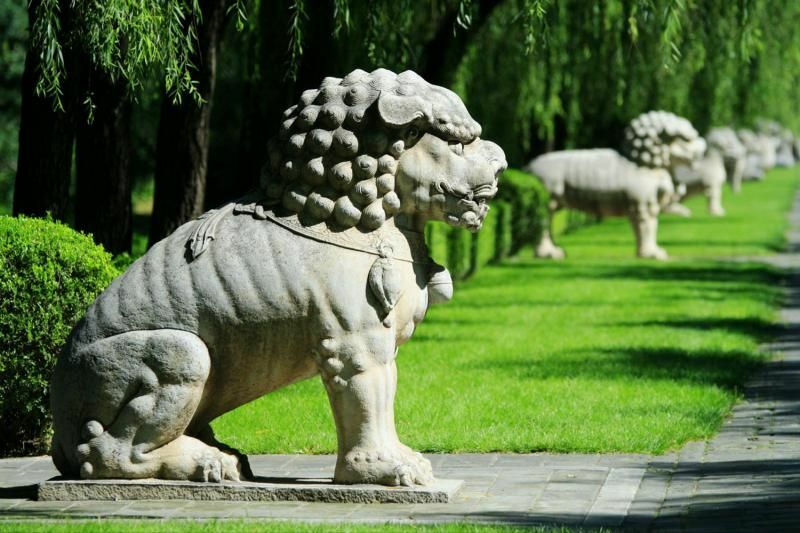 Massive, historic park located on a hill north from the Forbidden City in Beijing. Offering stunning views. Yonghe Temple. Also known as Harmony and Peace Palace Lamasery, this Tibetan Buddhist temple complex dates back from 17th century. Beijing National Stadium. Uniquely designed stadium with modern design, also known as the Bird’s Nest was built for the Olympics of 2008 and is now hosting concerts and sports events. Simatai. Another popular section of the Great Wall, located northeast from Beijing. Featuring rustic appearance, sentry towers and steep climbs. Juyong Pass. One of the three main passes through the Great Wall, this one located 50 km in the north from Beijing city center. Mausoleum of Mao Zedong. Resting place of former leader of China, Mao Zedong, featuring museum with historical exhibits. 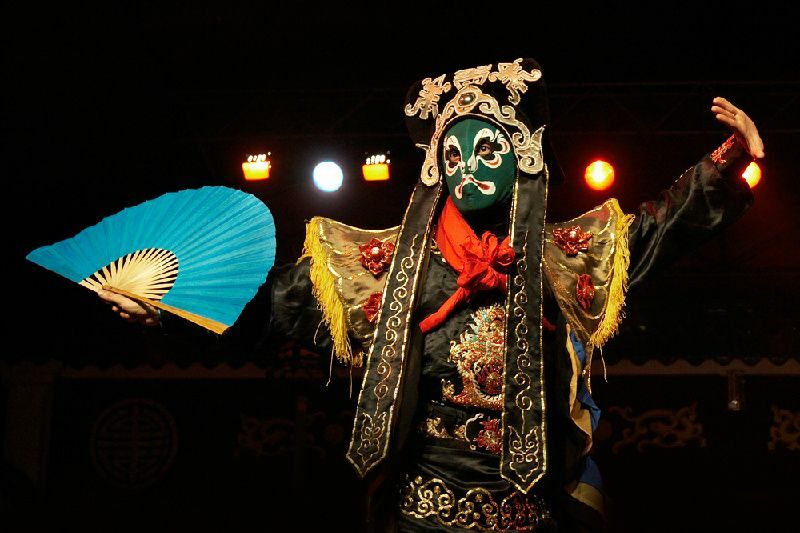 Beijing is a massive city and attractions we have listed are very few in comparison of what you can see and do. 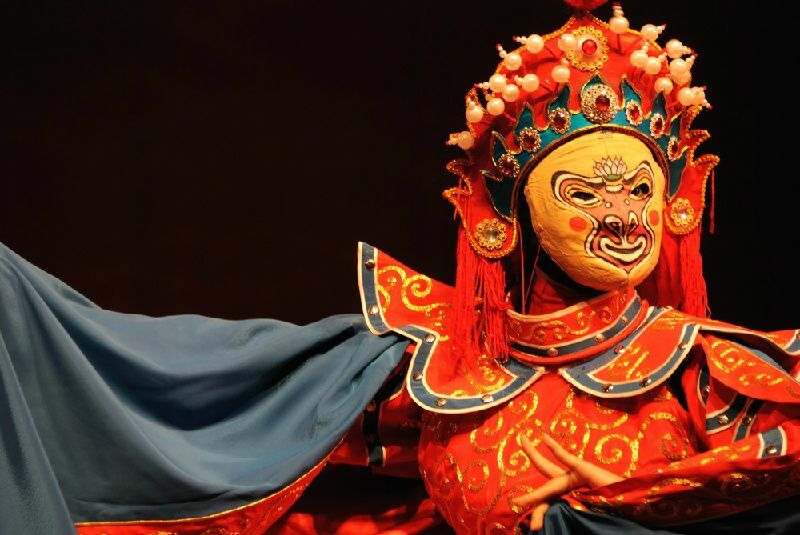 Apart from the list, we also recommend following: book Old Beijing Hutong Rickshaw Tour, attend traditional Chinese theatre play, go for live Kung Fu show, visit any of historic location in Beijing surrounding, especially well preserved portions of the Great Wall. Chinese New Year (January-February), Beijing Mid-Autumn Festival (September), Dragon Boat Festival (June), Red Leaf Festival at Fragrant Hill (October-November), Huangyaguan Great Wall Marathon (May), Golden Week (October). Beijing will be the first city to host both summer and winter Olympic Games. Beijing Capital International Airport (PEK) is the world’s second busiest airport. The city is home to seven UNESCO heritage sites. Beijing is served by these airports: Beijing Capital International Airport (PEK) and Beijing Nanyuan Airport (NAY). Direct flights to Beijing are offered by 67 airlines.